Ubuntu 18.04 LTS Bionic Beaver is a long term support version that was released on April 26, 2018; 12 months ago (2018-04-26) and Ubuntu 18.04.1 LTS was released three months later July 26, 2018; 9 months ago (2018-07-26). 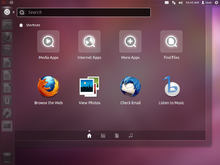 Plans to include a new theme, created by the Ubuntu community, were announced on 5 February 2018. 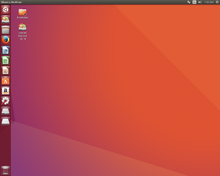 However, as the development of the theme was unfinished and buggy as of 13 March 2018, Ubuntu 18.04 LTS did not include a new theme, and instead retained the Ambiance theme from 2010 as its default theme. Still, the new theme will become available as a Snap package. 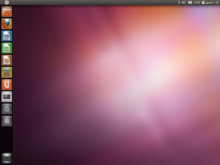 Ubuntu 19.04, codenamed Disco Dingo, was released on 18 April 2019. It incorporates the Linux kernel version 5.0 which adds support for AMD FreeSync, Raspberry Pi touchscreens, Adiantum encryption, Btrfs swap files as well as many USB 3.2 and Type-C improvements and several new hardware. 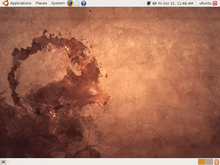 Ubuntu 19.04 uses GNOME Shell Desktop 3.32 which includes, a new icon set, increased performance, smoother animations, night-light intensity control and advanced application permissions. The updated Nautilus 3.32 file manager now supports favoriting files. A new header bar, as well as 'find' and 'read only' modes have been added to the default terminal emulator. Version 19 of the open-source graphics drivers Mesa is also natively available in this version of Ubuntu. Furthermore, the Grub menu now allows a 'safe graphics' mode, in case of issues with graphics cards or graphics drivers. This option will boot Ubuntu with “NOMODESET” turned on and will allow the installation any proprietary drivers needed by the system. Geoclue integration and fractional scaling in the GNOME Shell for HiDPI displays (currently available only in Wayland sessions and experimentally in Xorg sessions) are also included. Improvements for running Ubuntu on a VMWare virtual machine include integration of open-vm-tools within Ubuntu, allowing for bi-directional clipboard and file sharing. 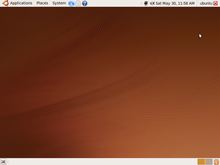 Ubuntu Server 19.04 was updated QEMU to version 3.1, allowing for creation of a virtual 3D GPU inside QEMU virtual machines. libvirt was updated to version 5.0 and Samba was updated to version 4.10.x. Samba and its dependencies were updated to python3, with the exception of tdb which still builds a python2 package, namely python-tdb. Ubuntu Server 19.04 includes the latest OpenStack release, Stein, and has vSwitch version 2.11. ^ "Extended Security Maintenance for Ubuntu 14.04 (Trusty Tahr) begins April 25 2019". Canonical. 14 March 2019. Retrieved 20 April 2019. This page was last edited on 26 April 2019, at 16:28 (UTC).